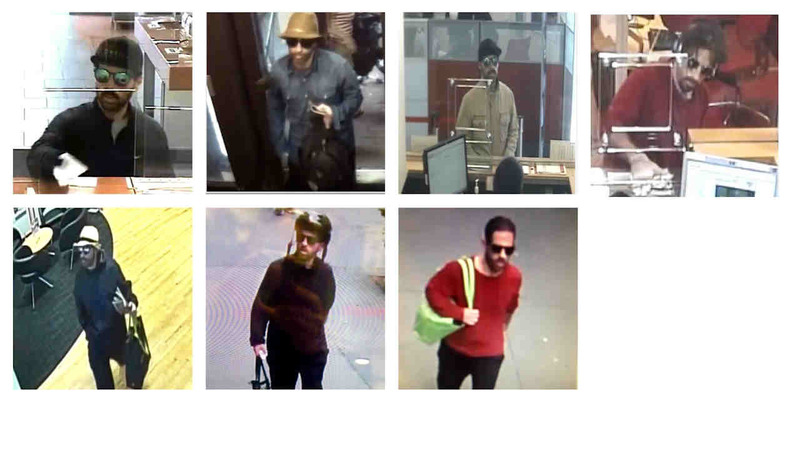 UPPER WEST SIDE, Manhattan (WABC) -- A Staten Island man has been charged with robbing as many as 11 banks since March. Joseph DiBenedetto, 34, is accused of being the "Mad Hatter" bank robber, named for appearing in a hat at banks. He was arrested Tuesday morning, suspected of robbing the Popular Community Bank on West 96th Street and Columbus Avenue and an HSBC Bank on West 95th Street and Amsterdam Avenue, on the Upper West Side. He was recognized by a teller. Then two New York City Police Department officers followed him onto a M96 bus heading east and arrested him. DiBenedetto was wanted in nine previous bank robberies dating back to March 8, netting at least $20,000.